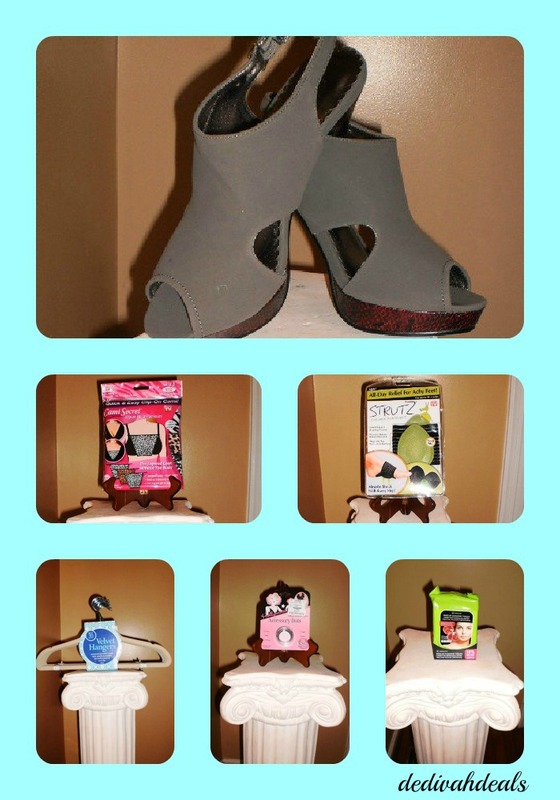 Another “return” trip to Ross yesterday after work (remember this one) and found a few new beauty and “As Seen on TV” products. 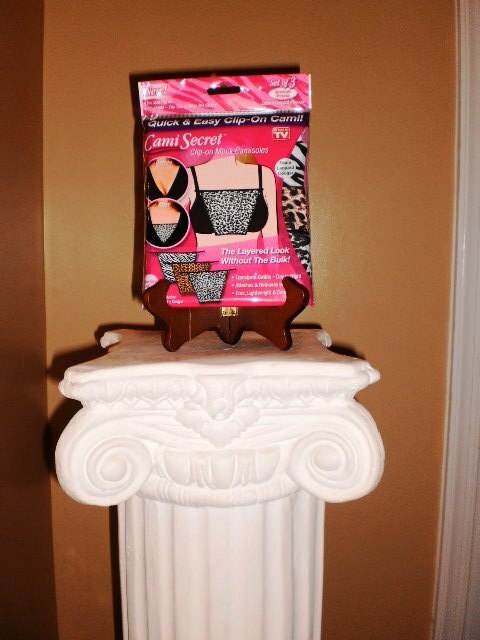 As Seen on TV Cami Secrets in Zebra, Leopard and Cougar prints. I previously purchased a 3-pack in solid colors (black, white and beige) and have worn them under low V-cut shirts/dresses. They are light weight, cool and attaches easily to the bra straps, $6.99. Absolute! 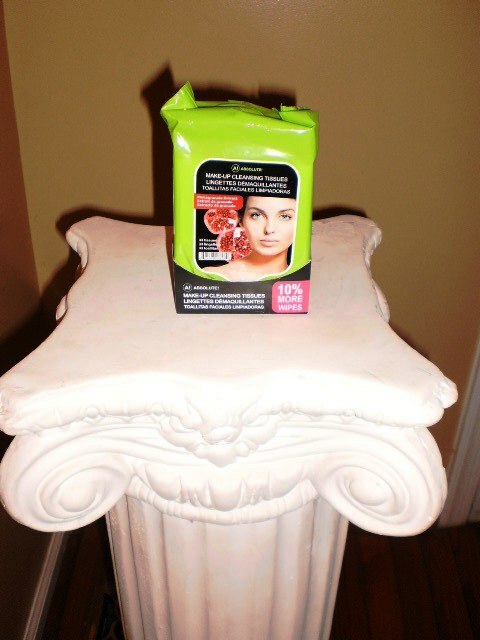 Make-up Cleansing Tissues, 33 per pack with Pomegrante Extract. 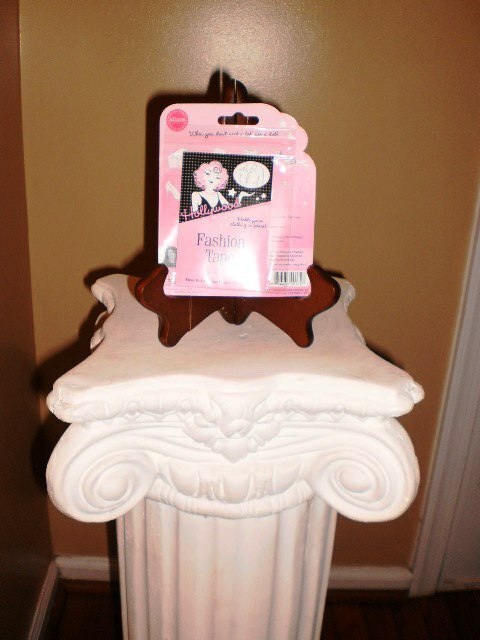 There are 8 more cleansing cloths than most other brands, cleans well and cost only $2.99. 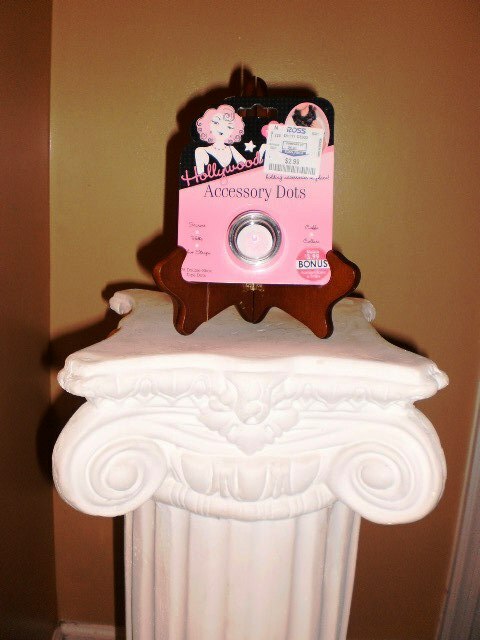 Hollywood Fashion Secrets Accessory Dots with Bonus Fashion Tape. 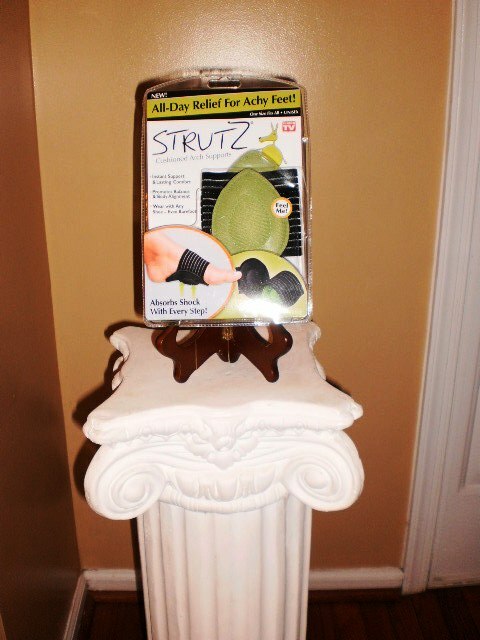 “When you don’t need a lot, use a dot!” I have always wanted to try this product, according to the packaging it can eliminate gaps in your tops/wrap dresses; hold straps; adjust hemline/length; secure necklines, scarves and accessories. $2.99 for 25 double stick tape dots and a bonus 6 strips of fashion tape. 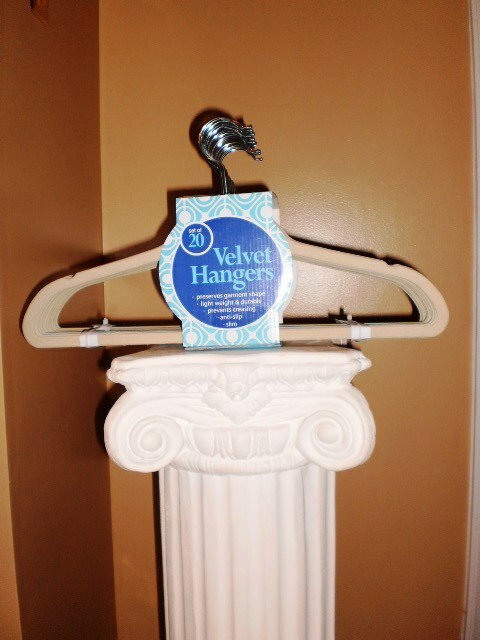 Remember when plastic hangers replaced wire ones and we all loved them….well now they are being replaced with velvet hangers which are better. Keeps delicate clothing and straps from falling off, gives more room in the closets (for all those hauls and are great for hanging accessories, belts, scarves and jewelry. 20 pack for $9.99. And the reason for my return trip – an exchange for these! 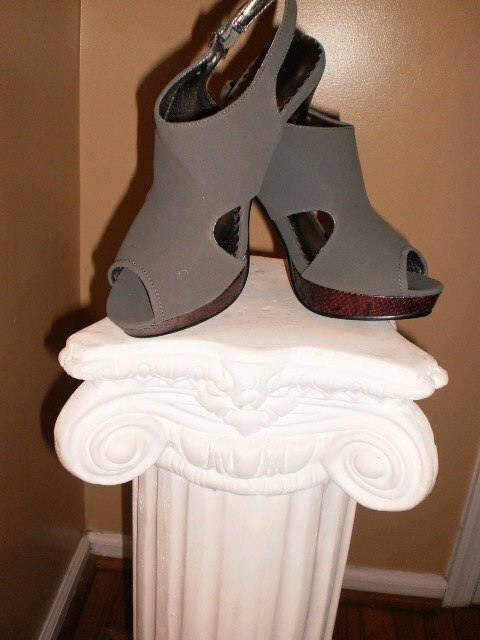 Rampage Faux Suede and Snake Skin pumps with 4.5″ heel and 1″ platform – $18.99.